Copperfields B&B in Wargrave Homepage. Copperfields luxury bed and breakfast accommodation in Wargrave, Berkshire. 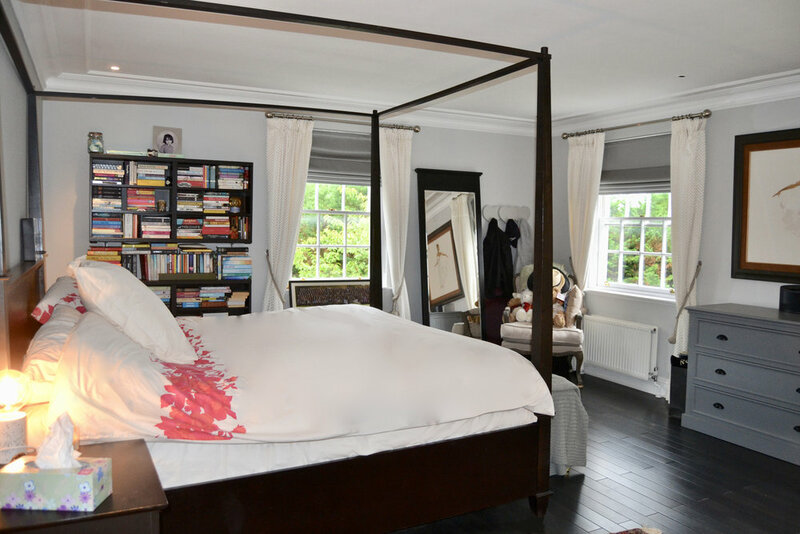 Luxury B&B accommodation in Wargrave, Berkshire... welcome to your home away from home. Copperfields is located in a quiet residential area a few miles from Henley-on-Thames. Guests can make use of the lounge, large garden and, in the summer months, the outdoor swimming pool. Breakfast is served at the communal dining table overlooking the garden. Dinner and afternoon tea can be provided upon prior request. There is secure parking in the drive and free WiFi is available throughout the house. Children are welcome. We have four individually decorated, well equipped and centrally-heated double rooms. Two of the guest rooms have spacious en-suite bathrooms with all essentials (including towels) and amenities provided (shampoo, conditioner and body wash) plus hairdryer. Copperfields is located in a very tranquil spot and our rooms are comfortable, quiet and secure. Both the house and guest rooms are non-smoking.